I grew up in a family that honors the police. My grandmother was friends with a Police Captain. My Uncle is a Police Officer. His son is an Security Police Airman in the USAF. Another Uncle was a Sheriff for a small town outside of Louisville, KY. I have a nephew in Law who is in the process of joining the LMPD. One of my best friends is the widow of a Police Officer. A great many friends are Police Officers and I have still more friends who were Military Police in the US Army. For a great part of my life, I did not question the activities of the Police. Even though I had witnessed some corruption myself in the Army Military Police Corps and had been involved in some idiotic, though not corrupt, interactions with civilian police. In the past few years, I’ve noticed a slow creep in police attitudes. I’ve noted changes at the airports in America. I’ve noticed changes in the justice system. I’ve noticed a large amount of people being set free from incarceration due to incompetence, negligence or willful corruption of the American Justice System. This has, to put it mildly, upset me. I grew up believing that America was the Greatest Nation on Earth. I grew up believing that we were the Land of the Free and the Home of the Brave. I’ve lost faith in these concepts. America has the largest prison population in the world. We incarcerate more people than China, Russia, Iran and, it is said, North Korea. This is, to my way of thinking, insane. Many of the people whom we have imprisoned in America are guilty of nothing more than partaking of a weed that grows in nature. Yes, I speak of marijuana. Others are in prison due to various other drugs. This is legislated criminality. This is immoral. We imprison people, violate their person, destroy their spirit because they desire to smoke a plant that can be found in the forest. We raid farms and property and destroy families because people wish to smoke a plant. The War on Crime and the War on Drugs has done more damage to America and to the United States Constitution than the Soviet Union, al Qaeda, Saddam Hussein, ISIS, North Korea and Iran combined. 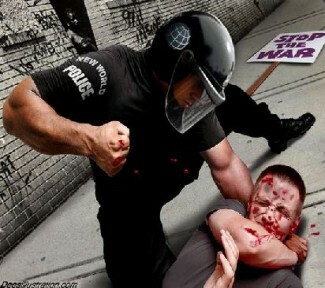 These pseudo-wars are fully supported by the majority of our police forces. The State lied and continues to lie to this day about drugs and crime. They lie to support the State and centralization of power to the Federal Government. I have written about these issues fairly extensively on this blog. I will not repeat everything that I’ve written in this blog. I will say only this. The American people need to wake up to these facts of our existence. 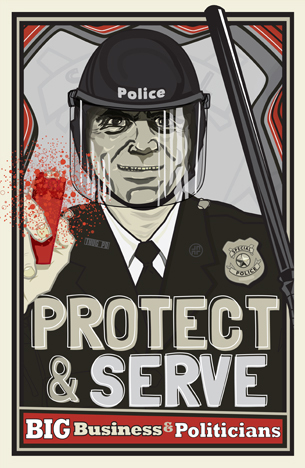 Our police have become tools of State oppression. The Bill of Rights is being dismantled. Look only to Ferguson to see this. Look past Michael Brown. Look past the looters. 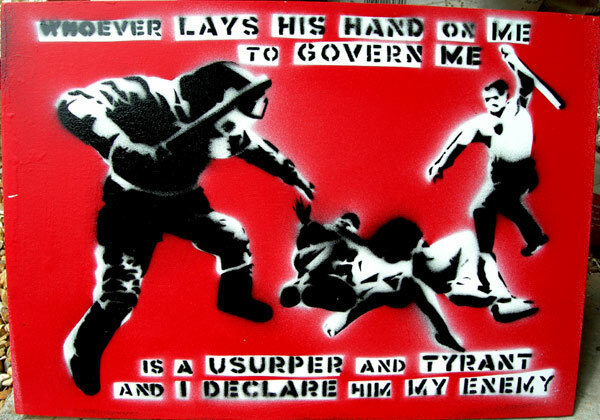 Look to the peaceful citizens who assembled and how the State reacted to them. If you can say with a straight face that the Bill of Rights meant anything to the police of Ferguson, you are a better actor than I. Another issue that I have is with folks who have family who are police. WAKE UP! Yes, you are emotionally invested. Certainly, your family member may not be one of the corrupt State Goons. Your family member or friends may be one of the “good Cops.” It doesn’t matter. If he or she is one of the “good” guys, they have no voice. 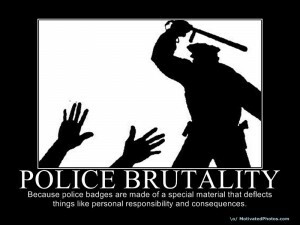 They follow orders and fall in line or they will be fired, jailed or, worse yet, killed. 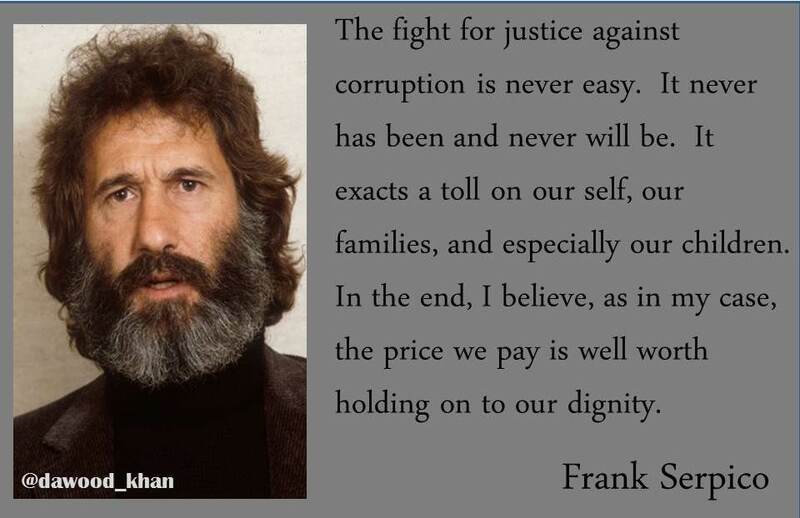 Just ask Frank Serpico and numerous other Cops who tried to fight the corruption and Statism that prevails in America’s police forces today. You can be as mad at me as you wish for stating my opinions and shouting my facts as to the State of American Policing and the Federal power grab that has been occurring since Nixon. Fact is, I don’t care about your feelings. I don’t care that you have a good cop as a friend, Uncle, Father, spouse, grandfather or BFF. 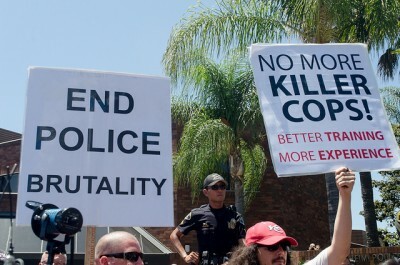 I care that the American Police Forces and the American “Justice” System is killing innocent people. They are incarcerating innocent people. They are ruining lives. You can stay huddled up in your little bubble for as long as you like. I care not. Do not expect me to not speak out about what I see as a great injustice and a direct attack on America’s soul. Before I took command of my company in Baghdad, I helped my boss manage interrogation operations for Task Force 1st Armored Division. When the Abu Ghraib prison was established as the military’s consolidated interrogation facility for Iraq, I regularly called the prison and asked them to pull prisoners that we had given them out of the general prison population for interrogation. I never received a single piece of useful intelligence back from the prison. Those guys have to be the worst interrogators ever, I often thought. But in war, especially a counterinsurgency, you feel you can’t afford to leave any stone unturned in the search for intelligence. So, I kept up a steady stream of requests. I had no inkling at the time of the awful abuses prisoners were enduring in the prison’s hard site, where interrogation subjects were housed and questioned. That inkling came later, in early April 2004, when my battalion commander told me that there was an investigation into serious prisoner abuse at the prison. Suspicion turned to disgust when, a couple weeks later, I viewed the shocking Abu Ghraib photos on television. For years afterwards, I wondered if any of the prisoners I had asked Abu Ghraib interrogators to question were in that naked pyramid. Then I learned that the prisoners in the photos were, for the most part, not interrogation subjects. Although the prosecuted abuses took place where interrogation subjects were held, nearly all of the prisoners in the published photos were common criminals. They had been pulled out of the general population tents by a group of corrupted military policemen looking for some late-night fun. Part of the problem as I see it is the very idea of American Exceptionalism. We (or at least I was) are raised to believe that America was the greatest nation on earth. More than that, America was the most moral nation on earth.Our soldiers, esp. those of “The Greatest Generation, were men of character. Unimpeachable character. America, as the mythology goes, has always ushered forth from our shores in righteousness for causes which are always great and good. We fight, not for greed or imperialism, but for the good of mankind. We fight for Liberty, Freedom and Democracy. And then we send men and, now, women off to war. We find out that perhaps we’re not in Afghanistan to spread democracy and human rights. We read about Malalai Joya and her fight for minority rights and how American Political Leadership has not only ignored her and those like her but actively stood against her. We commit atrocities such as, the obvious, Abu Ghraib. We find that some of our fellow soldiers have raped non-combatant locals in our theaters of war AND that some high ranking members of our military sought to cover up those crimes. We learn that our President is willing to kill any and all random “military aged males” who happen to congregate in areas which he or some military or intelligence official deems and geographic area of concern. We learn that the American President has signed off on the assassination of American citizens in effect becoming judge, jury and executioner. We find, in the end, that we are not so exceptional. And these are the moral enigmas bewildering us outside of America’s borders. There is the Drug War that legislates a criminal class from amongst our poor. We see affluent members of American society sentenced to 4 months probation for molesting children while an 18 year old who sells pot brownies is sentenced to life in prison.I could go on and on. It is a difficult question to ask? And if one believes that yes, America is worth fighting for, then how does one go about doing so. Does one fight for the status quo or does one fight to change this status quo. It must have been incredibly ironic for Black World War II soldiers to return home to America and Jim Crow after fighting for “Freedom and Democracy” in Europe and Africa. It must be ironic to travel to Iraq and Afghanistan to fight for minority rights and Democracy, Freedom and Liberty only to return to the America of Homeland Security and TSA Airport fascism, NSA home spying, Defense of Marriage Amendments and life sentences for marijuana. There is a cognitive dissonance associated with fighting for a cause in a foreign land only to return to an America in which Statism has slowly, quietly and criminally creeped into everyday America life. The moral ambiguity of fighting for citizens rights across the world while losing rights at home must be bewildering. If we are fighting for the rights of the people of Afghanistan to forge their own national identity and to exercise freedom and liberty, our return home through airports that are now essentially prisons from which there may be no escape once one has become a “suspect” where they can detain you indefinitely for nearly any reason. I can see how a soldier would begin to question his sacrifice at that moment. I have been held at a US airport for upwards of 12 hours for no reason and for mistaken identity. Yet, I have been in Afghanistan attempting to teach these people about rights, freedom, liberty, due process and similar theories. Take all of this together and I have to ask myself sometimes if I should not have been fighting in America for these ideals rather than wasting time overseas as Iost my rights as an American to the very people who have sent America’s soldiers overseas in the first place. Bergdahl, apparently, had a moral crisis in Afghanistan. He asked questions that I know have been asked by many. His conclusion was that his commitment to the Army was not worth his soul. Perhaps, he should have stayed on and committed suicide. He would then be honored as a soldier instead of being vilified as a deserter. Sometimes, the Army is not worth one’s soul. Perhaps, Bergdahl felt that the mission in Afghanistan and the Army that was “half assing it” was not worth further sacrifice. He must be willing to accept the consequences of having contracted with the military and then “renegging” on said contract for acting on his conscience. However, there is no doubt from his emails that he was morally conflicted and having been around the military for nearly 30 years, I know exactly how he felt. It’s one of the reasons that I did not retire. I spent two tours in Korea listening to half literate NCOs calling the Korean Augmentees “buckets” which was short for bucket head. I’ve been around many military members in Afghanistan who treat Afghans as though they were sub-human. This was one of the primary complaints of Bergdahl. He was a lower ranking enlisted person with absolutely no power to affect change. A Specialist does not tell an NCO in an Infantry company that he doesn’t like the way said NCO talks to anyone. It’s just not done. Where is the outlet for this? Upping it to the Chain of Command. lol I’m sure that would have worked out well. In the end, the Army failed Bergdahl as much if not more than Bergdahl failed the Army. Moral dissonance…moral injury. There’s your first case. I’ve been conflicted over this since I first heard that this kid went AWOL back in ’08 or ‘9. He’s a traitor, a deserter but…wait a minute…he’s also a kid who was caught in a situation which conflicted with his morals. This case has the potential to rip the military apart and America along with it. And it is exactly about Morality, Moral and psychological injury and damage. This is a kid who seems to have thought deeply. He broke laws. He made his decision. He should face the consequences but that does not make this any less poignant of a situation for Bergdahl, the Military and America. This could rip America to shreds if it is covered honestly. No fear there…it will become political circus instead. …with Liberty and Justice for all!